The 2716-PRO is a Midi size Hybrid DVR that adopts the most advanced SOC technique to ensure 5MP High Definition recording on each channel. This DVR accepts 16 5MP Hybrid Cameras and/or 1080p Hybrid Cameras and/or Standard CVBS Analogue Cameras plus 4 IP Camera. 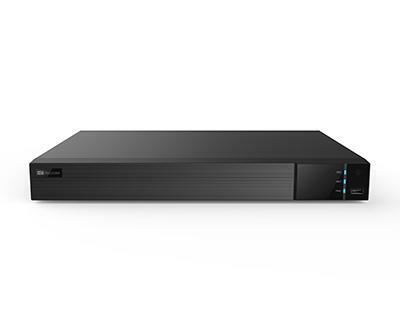 No router setup required through P2P or standard IP setup for Remote, Network or Smartphone viewing, 4K/HDMI, VGA plus BNC Call / Spot monitor.